Notably, Braley’s statement is more proof to seniors that he knew ObamaCare contained $716 billion in cuts to Medicare, which ends up costing each Iowa senior enrolled in Medicare approximately $10,074 over the next 10 years. Bruce Braley has been in Washington for 8 years and was recently in Texas for a political fundraiser where he belittled Senator Chuck Grassley for being just a farmer, with no law degree. Additionally, during the 112th Congress, Braley skipped 75 percent of the full Veterans’ Affairs Committee hearings. 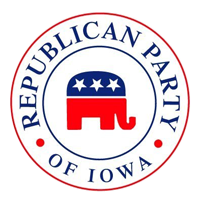 Paid for by the Republican Party of Iowa. Not authorized by any candidate or candidate committee.